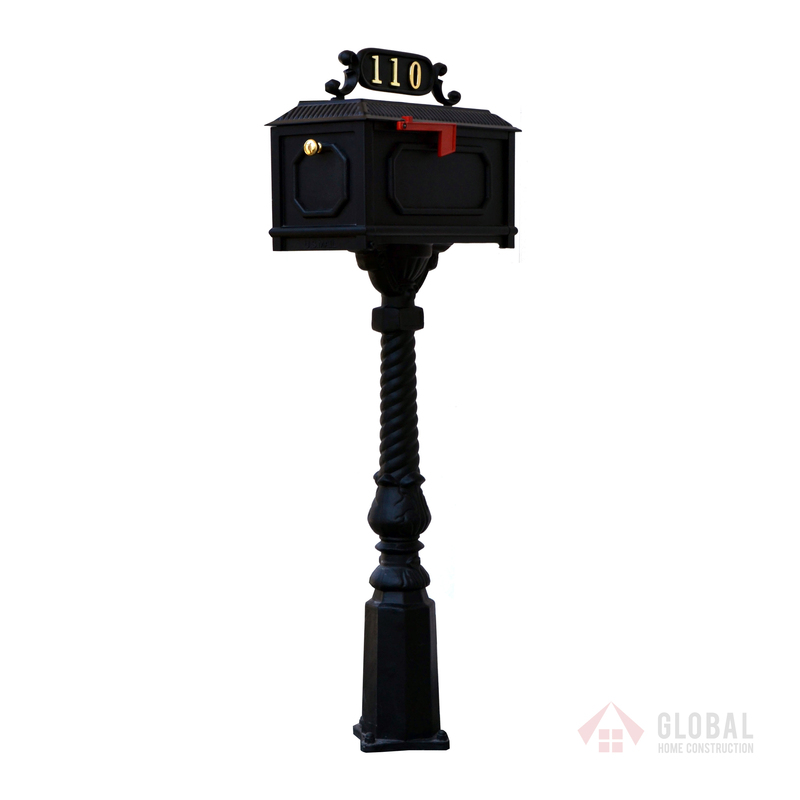 Double set of mailboxes with a slide flag or traditional flag. Powder coated. Gold raised numbers available.